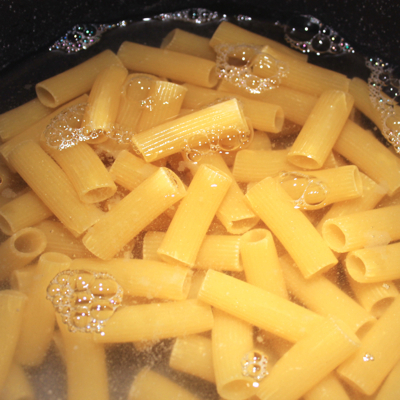 Bring salted water to a boil. 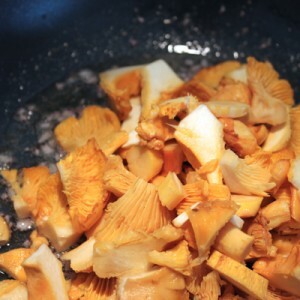 Meanwhile clean and cut the mushrooms. 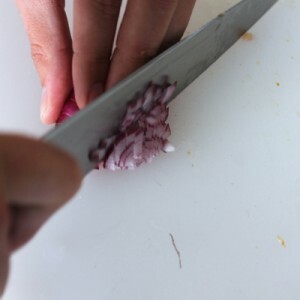 Chop finely the scallion. 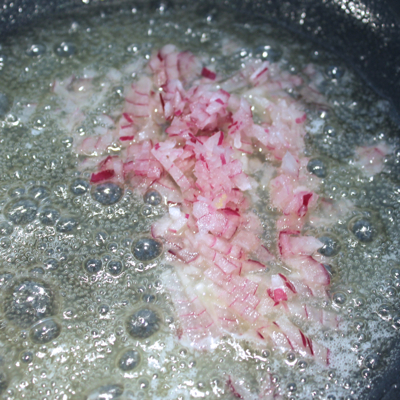 Fry the scallion into the butter. 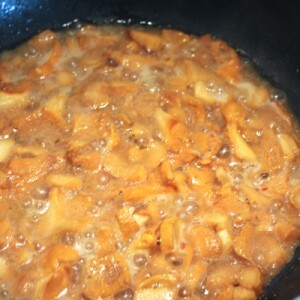 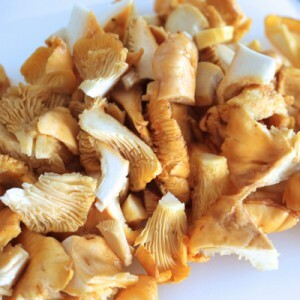 Once golden, add the mushrooms and stir – medium heat – until the water has evaporated. 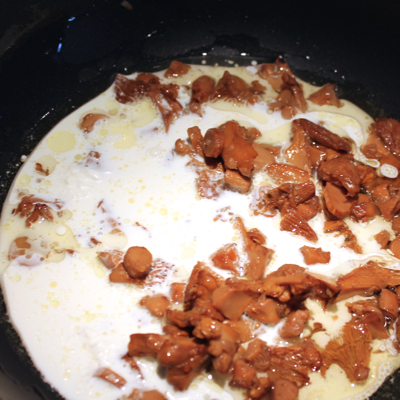 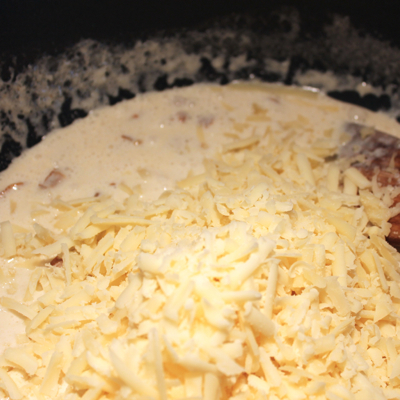 Meanwhile, add the cream to the mushrooms, bring to a boil, add the grated cheese. Retain from heat. 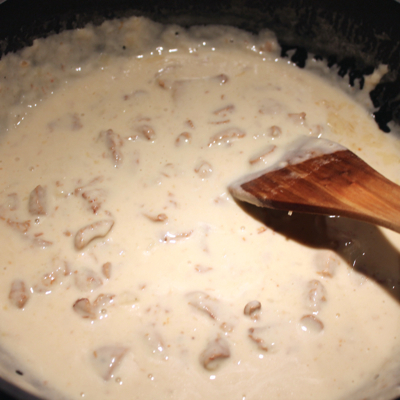 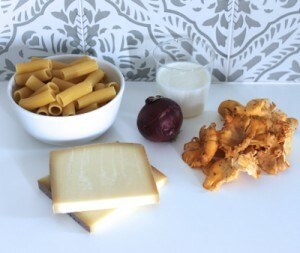 Put the cooked pasta into the mushroom sauce, mix well: it should be very creamy (if necessary add some cooking water). 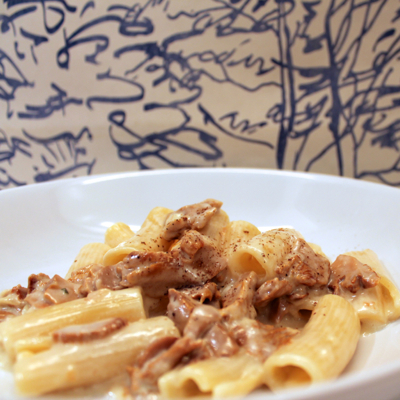 Season with fresh ground pepper and serve.